ROCHESTER HILLS, Mich. — eFlex Systems, a provider of assembly solutions, partners with Light Guide Systems to add augmented reality (AR) features into their web-based, assembly software – Job Element Monitor (JEM), a work instruction module. Michigan-based OPS Solutions, maker of Light Guide Systems augmented reality software for assembly and manufacturing, is a leader in the next wave of manufacturing technology. Light Guide Systems reduces errors and radically improves manufacturing and assembly processes by projecting a digital operating canvas directly onto virtually any work surface, providing audio and visual prompts, guidance, pacing, and direction. 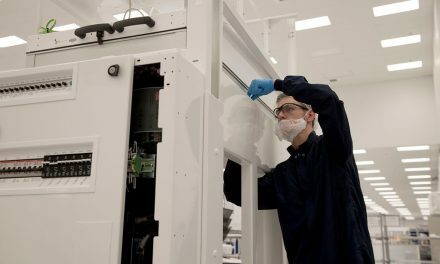 eFlex Systems (www.eflexsystems.com) is a recognized industry leader in the design and implementation of advanced technology and world-class digital solutions for the manufacturing and information technology markets. Serving a global customer base, the company’s reputation as a world class manufacturing software company and manufacturing consulting firm attracts new customers while preserving relationships with existing clients.